The gently-rolling Gascony countryside is mainly agricultural – predominantly maize, sunflowers, and of course vineyards, and the way of life much slower. It can be difficult to adjust at first, coming from a 24-hour society, to shops shutting for 2 hours at lunchtime! 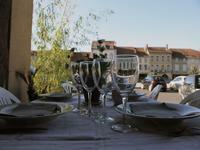 The area is steeped in history, and is renowned for its production of Armagnac. There are ancient bastide towns, the birthplace of d’Artagnan, and breathtaking views of the Pyrénées. The area comes alive in summer, with fêtes almost every weekend from May to September, the sounds of the bandas, “vide greniers” (car boot sales) where you can pick up some interesting old French knickknacks, and major events such as the Latin-American festival at Vic Fezensac, the Country and Western festival in Mirande (both in July) and the 2-week world-renowned Jazz festival in Marciac during the first two weeks of August. The closeness to Spain is evident, both in the names of some of the locals, and in the popularity of the ‘course landaise’ – the competitors jump over the animal. It is not the blood sport of Spanish bullfighting. A day trip to Spain is a popular outing for many. For motor racing enthusiasts (cars/ bikes/lorries) the race track “Circuit Paul Armagnac” in Nogaro holds regular competitions during the year, and if you own a small plane or glider, or want lessons, there are small airports in Nogaro or Aire sur l’Adour. The Atlantic coast and the Pyrénées are only about a 90 minute drive. The airport links are Pau (1 hour), Bordeaux, Toulouse and Biarritz (2 hours), and Lourdes/Tarbes. Nearest station – Mont de Marsan. Railways and motorways circle the Gers, they do not cross it. 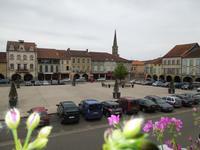 My husband and I moved to the Gers, close to the border with the Landes, in 2007 for a better way of life. The fresh clean air, the warm sunshine even in January, the lack of traffic, a slower pace of life, good friends – we have found our dream. 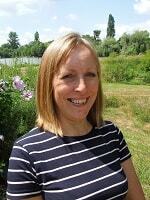 I was a former bilingual PA/Secretary before moving to France so the language wasn’t a problem – although understanding the local accent is sometimes a challenge! I also speak German, though it is a little rusty now. I love meeting new people and I look forward to helping you find your own dream here. Beautiful 17th century 8-12 bedroom Gascon farmhouse, completely restored, set in 4.051m2 land with 2 income-generating gîtes, heated pool and garden. 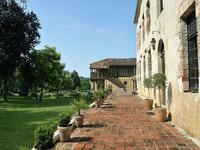 Approached down a long leafy drive, this charming old 12th century farmhouse is secluded in . . .
Set in a quiet lane, this propery offers accommodation to the walkers on the St James . . .
Set in a quiet lane, approached by a long gravel drive, this spacious stone farmhouse is . 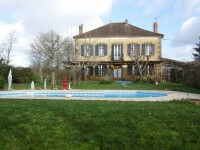 . .
3/4 bed stone farmhouse with tastefully renovated 3/4 bed gite and swimming-pool, in a village near two market towns. 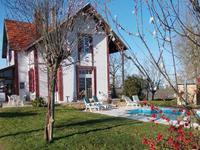 The gite is completely modernised and ready to be let out, with its own decking area for . . . The large arched windows let light flood into this modern property. The west-facing terrace . 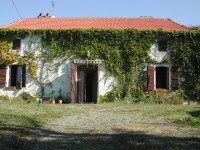 . .
Set back from the road at the top of a private driveway, facing south towards the Pyrenees, . . . This spacious offers great potential for development, set in a quiet lane close to the . 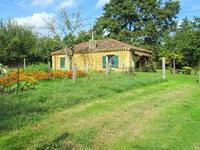 . .
Renovated, but with room for further improvement, this spacious farmhouse has lots of . . .
Set in the heart of the countryside, but less than 2km from facilities, architect plans have . . .
Set on the edge of a small village near Plaisance, this 3-bedroom home has been tastefully . 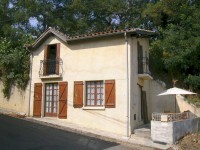 . .
Set in the centre of a pretty bastide village in walking distance to the boulangerie and a . . .